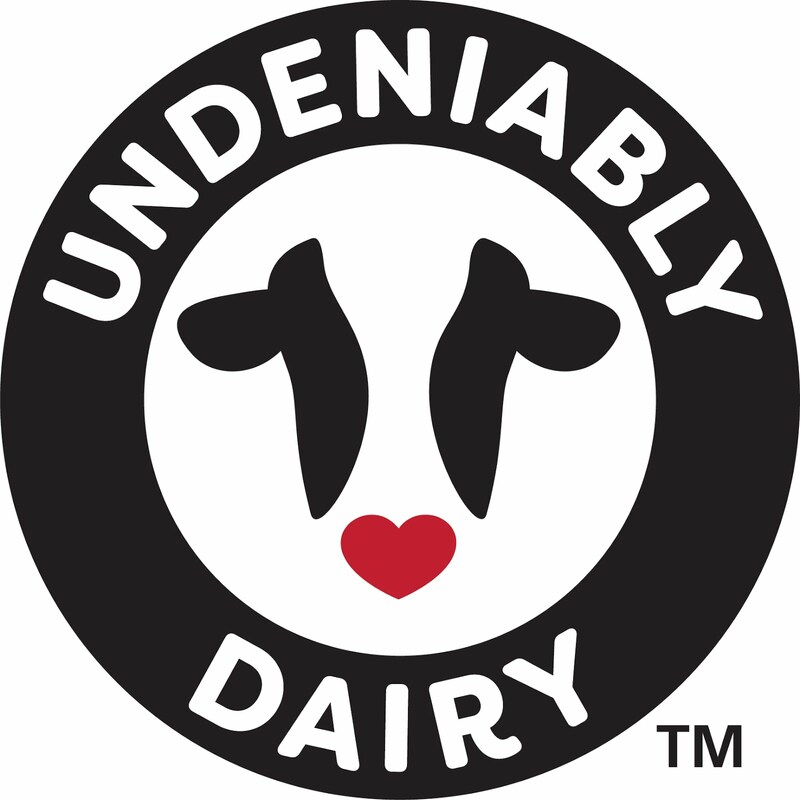 For me, there are a million reasons to love dairy. 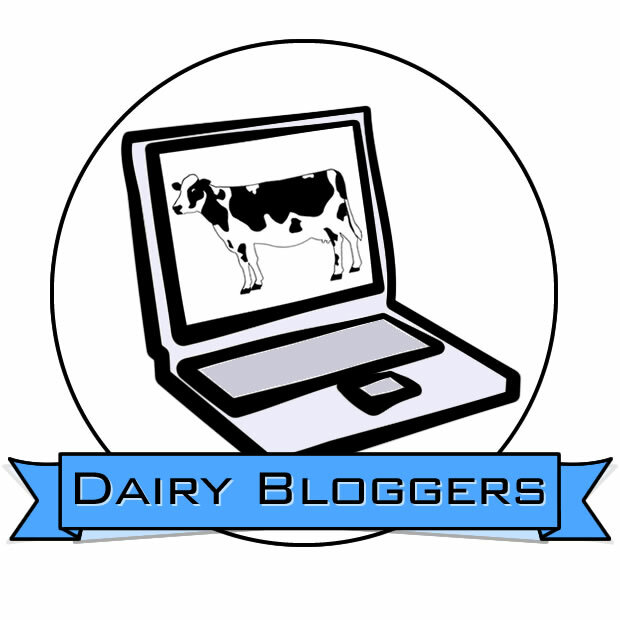 So when Midwest Dairy asked if I wanted to be part of this 100+ Reasons to Love Dairy blogging project, I immediately agreed. It should be easy to write about something that means so much to me, right? But then I started listing the reasons I love dairy: dairy farming is an amazing way of life... dairy farms are the best place to raise children... dairy foods are incredibly nutritious... dairy farms do so much to protect the environment... the dairy industry is an important contributor to local communities... and the list goes on. Then it occurred to me: How could I pick just 10 reasons for this post? So instead of trying to narrow my list down to 10 reasons, I'm going to focus on the number one reason I love dairy: Dairy foods taste great. Because none of the other reasons on my list would matter if milk – and the numerous other foods milk is turned into – didn't taste great. 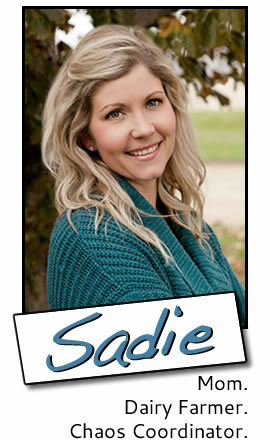 I found this graphic created by Rachel Glaves earlier this month and instantly loved it. It's pretty amazing that so many different dairy foods can be made from milk. So, with that, here are my 10 Reasons to Love Dairy. 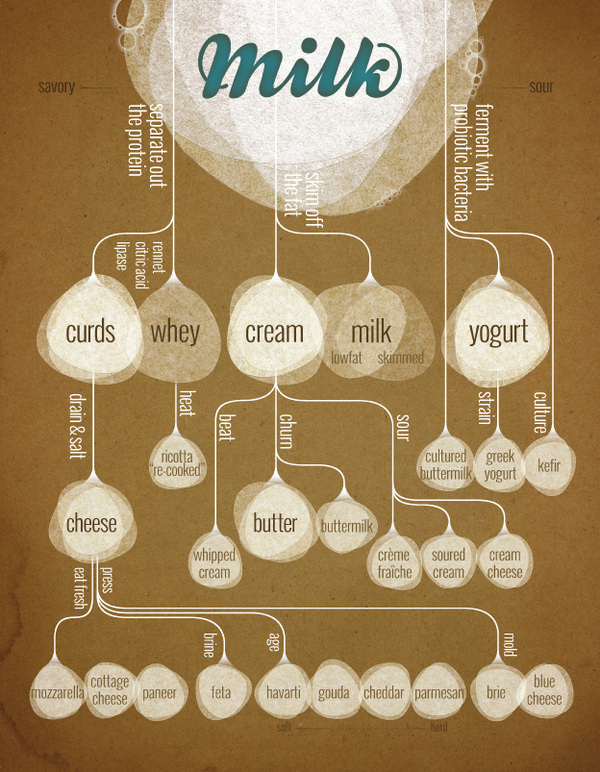 Milk is where all of this amazing dairy goodness starts. It's also delicious just as it is. My family of five consumes a gallon of milk a day. 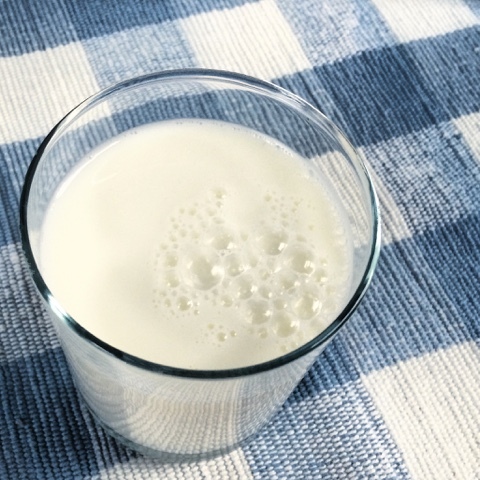 We drink milk with every meal; it's our favorite beverage for washing down everything from hamburgers to brownies. I'm so glad that butter is once again being recognized as the high quality fat that it is, because we eat a lot of it. Glen and the kids love buttered toast and I do all of my sautéing and baking with butter. Butter just makes everything taste better. Heavy cream wasn't something we normally had on hand when I was a kid. If my mom wanted cream for a recipe, she would let a jug of milk sit for a day and skim the cream off the top. But heavy cream is now one of my favorite ingredients; I pick up a carton every time I get groceries. It gives recipes incredible flavor and texture. One our favorite quick and simple desserts – One-Minute Budino – is made with heavy cream. Pour milk into single-serve rocket blender cup. Add pudding mix to milk and stir briefly. Pour cream into cup and put blender lid on cup. Blend for 30 seconds. Serve immediately for soft-set budino or refrigerate 15 minutes for thick-set budino. Serves 4 - 5. Did you know that ½ cup of cottage cheese provides 12 grams of protein? It's one of my favorite sources of on-the-go protein. 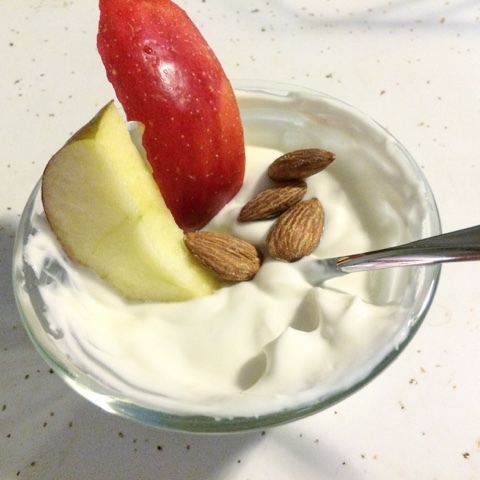 Paired with fresh fruit or vegetables, cottage cheese makes a great snack. My kids like to mix cottage cheese and yogurt together for a snack. 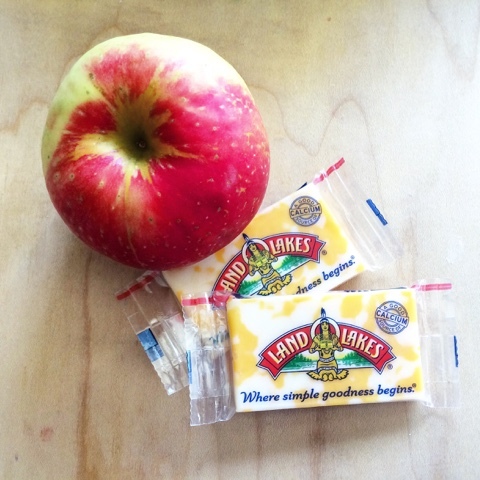 I also use cottage cheese to make these Butter Crunch Lemon Cheese Bars – one of Glen's favorite treats. I have to admit that I'm not much of a yogurt fan. I prefer viili – a Finnish-style yogurt I make myself – in my morning smoothies. But the rest of my family loves yogurt, especially when it's blended into smoothies. I do enjoy yogurt, though, when it's made into Greek Yogurt Fruit Dip. Place yogurt into small bowl. Top yogurt with whipped cream and gently fold cream into yogurt. Serve immediately with fresh fruit. Serves 1. From twice-baked potatoes to tacos, so many of our favorite dishes benefit from a dollop of sour cream. Even one of our favorite pancake recipes is made with sour cream. I always keep my refrigerator stocked with a large bag of shredded mozzarella cheese. I know some people prefer to grate cheese themselves, but I don't have time for that. A number of my quick meals are Italian dishes that call for mozzarella and the reason why they're quick is that the cheese is ready to add the minute I take it out of the fridge. One easy, healthy meal that we really love is Broiled Cheesy Bread with Marinara Sauce. Set oven rack to second highest level and preheat broiler. Arrange bread on baking sheet. Top each slice of bread with about ¼ cup of cheese. 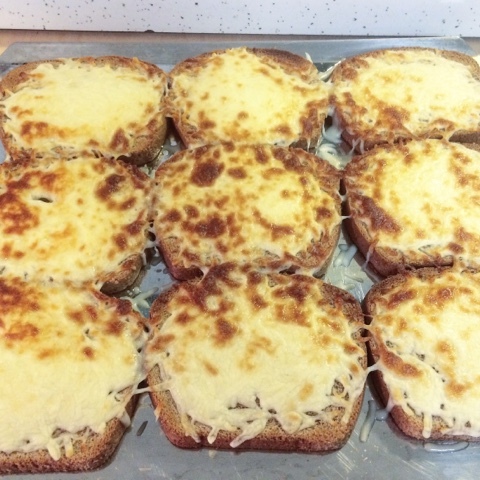 Set baking sheet under broiler until cheese is melted and lightly browned, approximately 5 minutes, rotating pan if necessary. Let cool slightly and serve with a small bowl of marinara sauce for dunking. Serves 4 - 5. Parmesan cheese adds such great flavor to foods! Most people pair parmesan with Italian dishes, but I like to add parmesan to eggs and broccoli. I sprinkle grated parmesan on the eggs over-easy and cooked broccoli I often eat for brunch. Parmesan is also the star of another eggs and veggies dish: Wilted Spinach Salad over Fried Eggs. Like mozzarella, co-jack cheese is super versatile. It goes with everything from scrambled eggs to apples. I keep both shredded co-jack and these snack-size packages on hand. I use co-jack whenever a recipe calls for cheddar cheese because my family likes the mild taste of co-jack better than cheddar's sharpness. 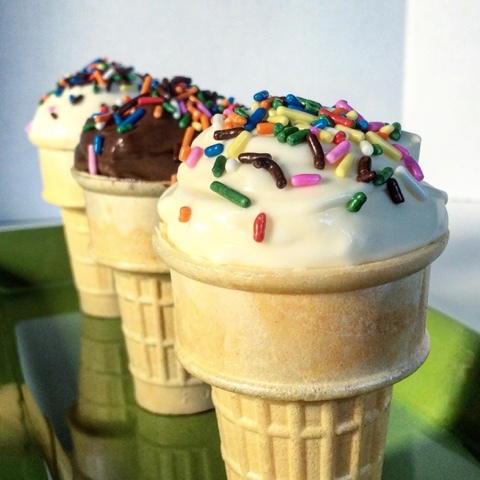 Sundaes, milkshakes, ice cream cones...ice cream is the one dessert everyone in my house can always agree on. 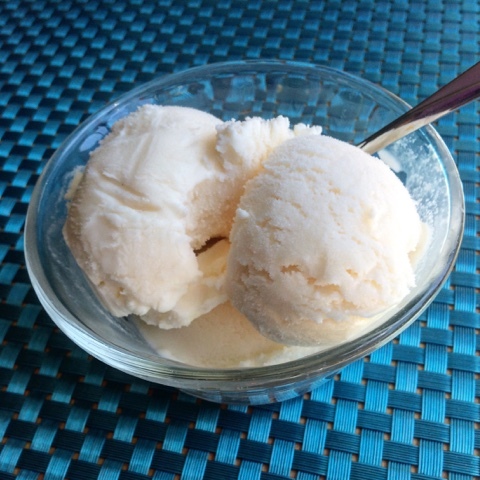 And, really, what's not to love about ice cream? So there you have it: my 10 Reasons to Love Dairy. 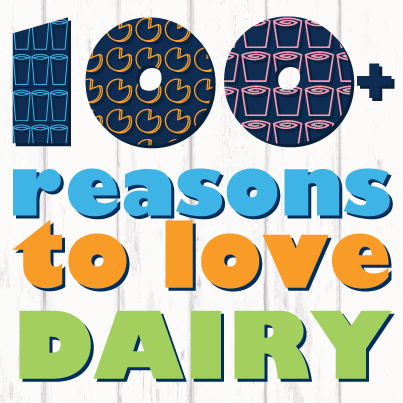 Check out the 100+ Reasons to Love Dairy post for links to additional reasons from other dairy farmers and dairy friends.